A film business plan is an essential document that every filmmaker should use and understand. 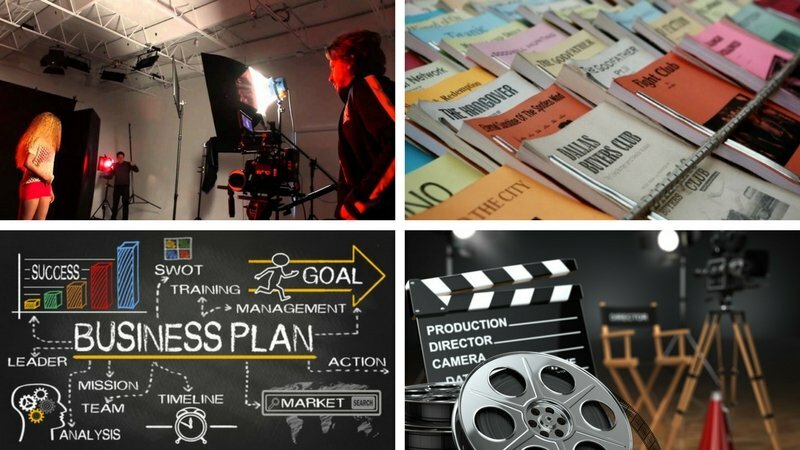 The most obvious benefit of preparing a film business plan is that it can be used to raise money to complete your production. Equally important, however, is that you can use it as a tool to forecast revenue, plan marketing and distribution, recruit famous actors, experienced production people, key team members, and generally keep your production on track. The film budget breakdown covers only the resources required to shoot your film. It is typically prepared by the executive producer, line producer or unit production manager. It does not address the other resources required to make your project successful. Your executive summary is a snapshot of your film business plan as a whole and touches on your company profile and goals. Your company description provides information on the kind of films you produce, what differentiates your films from others, and the markets your business serves. This section describes the target market of your film and discusses the competitive environment of that market. We use this section to ensure that you have all the human resources required to have a successful production and to ensure that you have an efficient chain of command. Is your film a short, a series, a documentary or a feature film. Is it for entertainment only or is your goal to bring attention to a cause. What is the film’s main and secondary genre. What is the life-cycle of your film? Are you using TV, billboards and radio or are you using the internet and social media. FilmHubATL uses a proprietary tool called the A.I.M.S. Analysis. It is similar to a S.W.O.T. Analysis and is used to help you identify: The strongest attributes or qualities of your film; The demographic and psychographic profile of your target market; Where your target market resides in the physical and digital world; and how to reach your target market, whether that be a TV, radio, web based social media campaign or any combination. We help you determine the most appropriate distribution channel(s) for your project. That is, is your project more suitable for movie-theater distribution, Netflix, HBO, TV or YouTube. We also use our contacts and negotiation skills to help you get it done. We prepare a comprehensive document that communicates the information needed to get your project funded by banks, investors, family and friends. We use historical data to provide accurate financial projections based on our script analysis. This is where we include your Film Budget Breakdown. You should also include information such as resumes, bios, permits, leases, intellectual property, etc. We can show you what information you should include in your appendix. Finally, keep in mind that we write your plan using current film trends. For more information, please call or fill out the form below.